What made you decide to participate in NACHMO for the first time? What inspired you to join NACHMO? We met Annalisa Ledson, NACHMO's NYC Producer, when she attended the DanceBARN Festival in 2017. She is electric and amazing at bringing people together! After the 2018 Festival, we started having some really interesting dialogue about the NACHMO structure and how it could be altered just a little bit to work well in rural communities or for choreographers that are isolated for any reason. The work thatDanceBARN does to bring dance to rural communities (and rural experiences to professional dancers, too!) seemed like an awesome collaboration to create NACHMO Connect! How did you tailor NACHMO Connect to meet the needs of your community? DanceBARN is located in Battle Lake, Minnesota with a year-round population of under 1,000 residents and a professional dancer population of 1. DanceBARN helped create a Rural Dance Collective that makes up a group of 7 (and growing) rural-living dancers. They travel up to 100 miles to participate in weekly rehearsals from towns with populations as small as 256! Since our communities are so spread apart, it felt hard to gather our small communities for a performance. 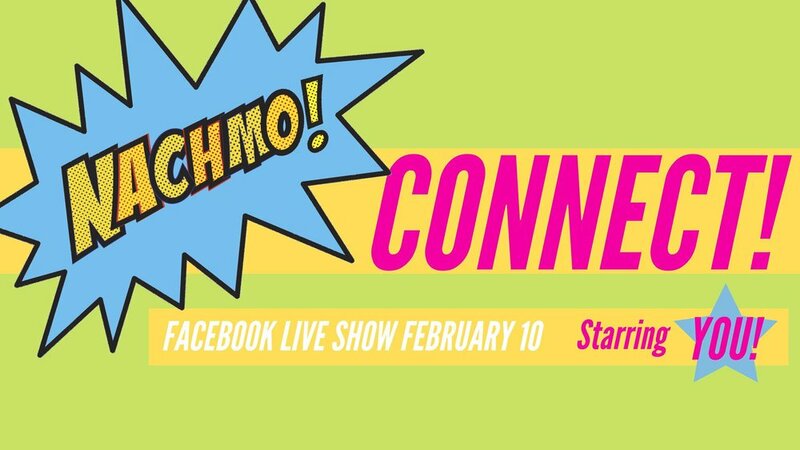 After realizing there were lots of other people wanting to participate in NACHMO, but didn't live near a hub, we worked with NACHMO to create an accessible performance platform using Facebook Live! How did your backgrounds help you build the DanceBARN Collective? What served as your inspiration? After going through the graduate program at the University of Oregon, we both ended up in Minnesota pursuing careers in dance and dance education. 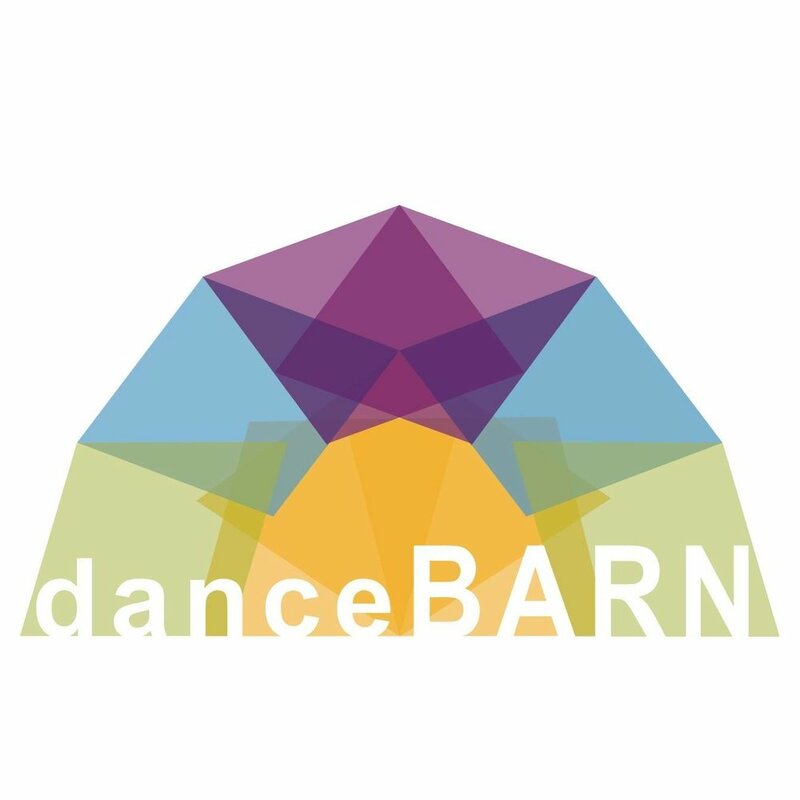 With dreams of wanting to host a dance festival in Battle Lake (Molly's hometown) and wanting to start a collective with local dancers and artists - DanceBARN was born! We just started with planning events and creating a festival that we had craved as artists ourselves. Something that was affordable, engaged the community, and brought artist from all the over the country together. Truly, we make it up as we go and feel passionate about using dance as civic engagement in our communities. What was an initial struggle and how did you help overcome it? For example, how do you create an audience in a rural area? Creating an audience can definitely be a challenge, but the community of Battle Lake and surrounding areas are excited about the new things we are introducing to the community. We are deliberate about bringing our events IN to the community - going where the people are. A lot of pop-up events and performances surprise our audience with dance, and encourage participation in dance through things that were already familiar to the community like the summer parade, square dancing, potlucks, and flashmobs. We also have talked a lot about how someone can participate in dance in many ways - as an observer, as a mover, etc. Another challenge we faced in the beginning was finding other dancers and artist in the local area to collaborate with. We just kept putting ourselves out there and talking to people about what we were aspiring to be! Now we have a great group of dancers that we've been able to connect with and organize some get-togethers to be creative with and just be able to move together. What inspires you about working in a rural community? What are the advantages? What inspires us is seeing people experience a connection with dance. Whether it's an emotional or physical connection, we love to see them be excited about watching themselves in a screendance they've helped create, or feel accomplished and proud that they took their first ballet barre class. Our goal is to bring dance and other dance experiences to communities that may not have such opportunities living in a rural area - and sometimes it's almost easier for them to find appreciation for the values of dance because it's new. We are also continually inspired by the value our community and its citizens have when it comes to our festival. It's so easy to think, "Wow! How great for your small community that all these dancers from NYC are coming to teach your community members stuff!" when really, we've learned that the connection goes both ways. Our community continues to offer a new perspective on what it means to be "rural" in America and we truly believe that our citizens offer as much to the DanceBARN experience as the dancers attending! Any advice for people who want to start their own NACHMO hub? JUST DO IT! The NACHMO staff is incredibly generous with their time, gracious, and easy to work with. Supporting new relationships in your city, town, or neighborhood is always a good idea! Who are the producers/curators, dance or other artforms, that you enjoy following or are inspired by? DanceBARN Collective is a nonprofit organization committed to using dance as a voice to build community. 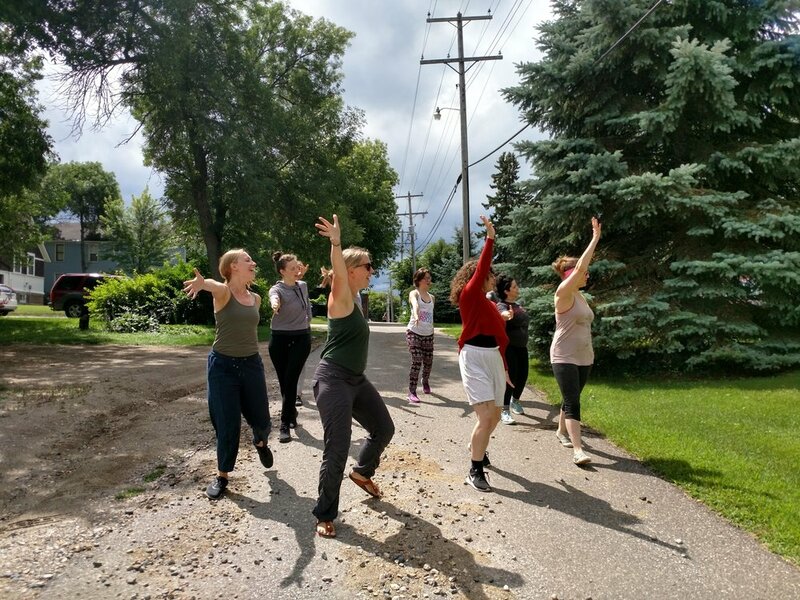 By connecting dancers, educators, choreographers, and community members through various dance events, DanceBARN is devoted to bringing dance to rural communities. 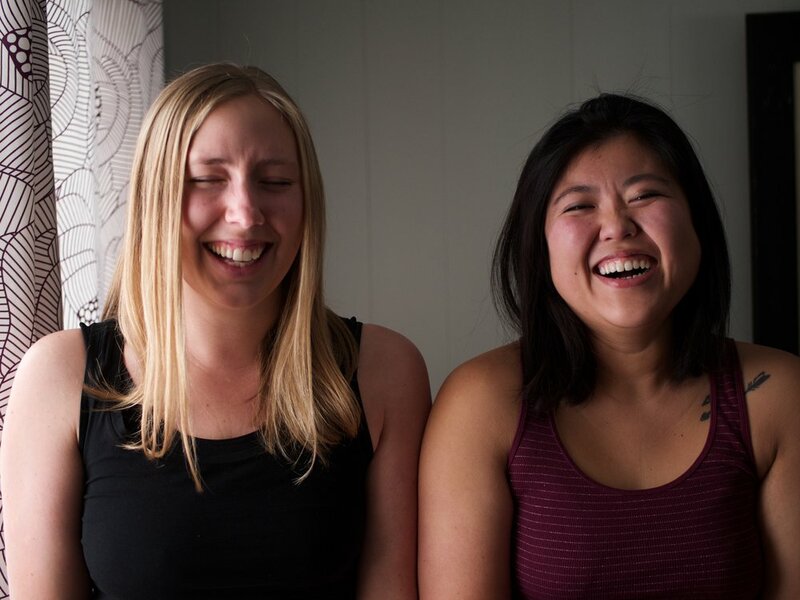 Founded in 2014, co-directors Molly Johnston and Ayumi Shafer, have hosted artists from all around the country for an annual dance festival in Battle Lake, Minnesota. Just starting its fifth year, Johnston and Shafer have increased their involvement in the Battle Lake community as well as in surrounding rural towns. Johnston, having studied dance previously in Philadelphia, and Shafer, in San Francisco, the two first met in graduate school at the University of Oregon in 2011. After earning MFA degrees in dance, they reunited in Minneapolis in search for something they could be passionate about. Always wanting to host a festival in her hometown, Battle Lake, Johnston was eager to get something started. Shafer was excited about starting a collective where dancers and other artists could have an environment to create, learn, and share. 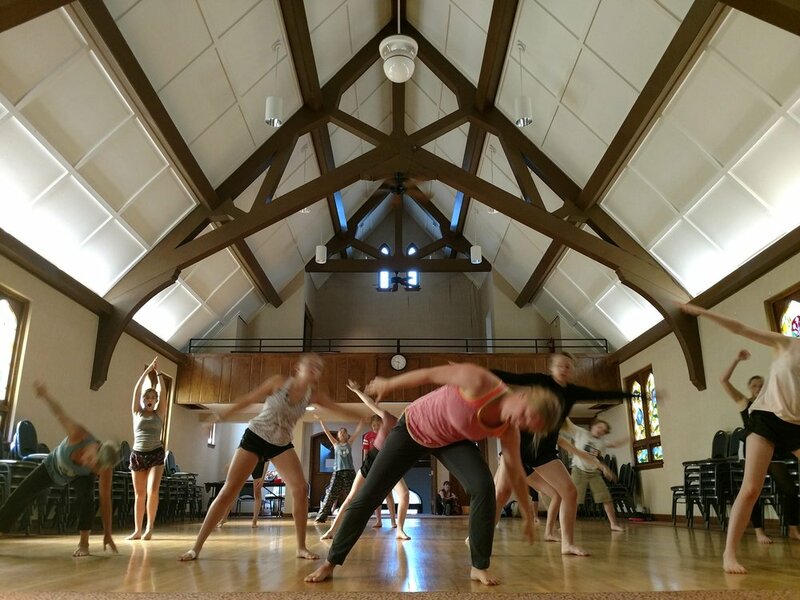 Together they have continued to organize community performances, residencies, screendance projects, and festivals hosting both professionals in dance as well as some middle schoolers for their first ever Youth Camp. Recently, they were commissioned to choreograph for an original musical, Otter Tales: The Musical, produced by PlaceBase Productions in Minnesota. Johnston and Shafer also be traveled to San Deigo, California in October for the National Dance Education Organization’s annual conference to present their accepted proposal in which they discussed their work in rural communities. In the near future, DancBARN plans to expand their residency program and initiate more collaborations with other artists and community members.